Convert Video to Samsung Galaxy, Play AVCHD and YouTube Video on Samsung I7500. Any Video Converter is a handy mobile video converter for Samsung mobile phone series devices, which can help to convert video files to MP4, WMV, MP3 and play on Samsung Galaxy easily. With this smart video tool, you can convert any video formats including AVI, MOV, DIVX, ASF, DV, MPG, MPEG, H263, H264, etc. to MP4 with either 1 pass or 2 pass encoding. Besides, this Samsung movie converter software provides video edit functions such as video trimming, video merging, and effects adjusting. 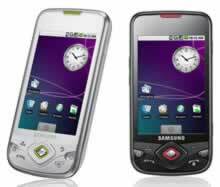 Samsung Galaxy I7500 is the first Samsung phone running Android OS. It features 3.2-inch touch-sensitive AMOLED screen with a resolution of 320x480 pixels, 5MP camera, Wi-Fi, GPS, 8GB internal memory and microSDHC card slot. Samsung I7500 supports MPEG4, H.263, H.264, WMV video playback and MP3, AAC, AAC+, eAAC+, WMA, RA audio formats. With Any Video Converter, it’s easy to convert any video files to MPEG4, WMV, MP3, AAC, WMA format to be played on Samsung Galaxy I7500. Please follow below steps to get playable videos for your phone. How to convert videos to MP4 format for Samsung Galaxy? Step 2: Choose output profile "Mobile Phone MPEG-4 Movie (*.mp4)" in the profile drop-down list and set frame size option to 320 x 480 pixels. You need to manually input frame size value according to your mobile's screen resolution. The default settings is good enough. For better enjoying videos on Samsung Galaxy, you can customize video and audio options, such as Video Codec, Video Bitrate, Audio Codec, Audio Bitrate, Audio Channel, Disable Audio, etc. If you prefer WMV instead of MP4 movies, you can select "Customized WMV Movie (*.wmv)" as output profile. With the above settings, Samsung i900 Omnia can play your MP4 or WMV videos perfectly. Step 3: Click Convert button to start converting videos for Samsung Galaxy. Once the conversion is finished, you can click "Output Folder" button to get the output MP4, WMV or 3GP files. Then connect your Samsung Galaxy with computer, import output videos into it, and have fun! You may also need to rip DVD for Samsung Galaxy. With Any DVD Converter Pro, you can easily rip DVD to MP4 video formats compatible with your Samsung Galaxy. Any DVD Converter Pro works perfectly as it's Any Video Converter Pro plus a DVD ripper. Download Any DVD Converter Pro to have a try! If you are a real Apple fan, you must be familiar with QuickTime’s MOV files. But some guys who are newsier to the process of MOV to MP4 or MOV to WMV creation, things can be quite confusing. They just did the conversion following QuickTime says, and found the result MP4 or WMV file cannot be played on the Samsung Galaxy I7500 or other portable players. Any Video Converter can help you to convert MOV to MP4 or WMV supported by Samsung Galaxy I7500. Armed with an user-friendly interface and fast speed, it makes MOV to MP4 and MOV to WMV conversion routine quite simple. Moreover, it allows you to choose multi-pass encoding. Two pass encoding produces much better results than one pass encoding. And the quality of the pass encoding produces much better results than one pass encoding. Enjoy your MPEG-4 videos or WMV movies made from an MOV files. Any Video Converter is the best FLV Converter to convert flash video files to mp4, wmv, 3gp, avi, mkv, etc. Any Video Converter is not only a great YouTube video converter, but also a wonderful YouTube video downloader. It is equipped with built-in YouTube video downloader enabling you to download the YouTube videos in Standard flv, High quality mp4, Mobile 3gp, High Definition MP4 (720p) and even Full High Definition MP4 (1080p). No doubt, Any Video Converter is truly your ultimate choice to download and convert YouTube flv videos for Samsung Galaxy. This FLV to Samsung Galaxy Video Converter can not only help you to convert FLV files to MP4 for Samsung Galaxy, but also able to convert FLV files to MP4, WMV movies which can be enjoyed on Zune, Xbox360, iPod, iPad, BlackBerry, iRiver, Creative Zen, Gphone etc. with family member or friends around! Any Video Converter is a professional M4V to MP4 and M4V to WMV conversion tool which can convert M4V files to WMV or MP4 for Samsung Galaxy with super fast speed. Its simple and easy-to-use interface,M4V to Samsung Galaxy Video Converter makes M4V to WMV conversion routine as easy as 1-2-3. The output quality is great without losing any quality. M4V to Samsung Galaxy Video Converter - powerful, easiest, fastest, application for converting M4V to MP4 or WMV movie and video with excellent output quality. In addition, this mobile video converter is also featured with powerful video editing functions, such as merging multiple video files into one, trimming any segments as you like from a movie, cropping frame size to remove black bars from a movie, personalizing your video with special effects, add your own subtitle to video. Free download of M4V to Samsung Galaxy Video Converter. Any Video Converter is an expert and easy-to-used MPEG2 to MP4 Video converter which has the ability to convert MPEG-2 video files into MP4, MP3 Audio, AAC Audio and various other video formats. 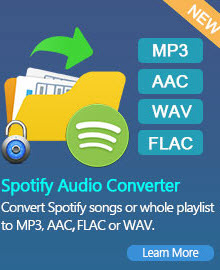 It supports converting among MPG, WMV, MP4, 3GP, MOV, RM, Samsung Galaxy Video Video, VOB and extracting audio from video file and converting to MP3, WAV, AC3, WMA, M4A, OGG, AAC etc. Its standards-based encoding algorithm ensures that videos you create have best quality. What is MPEG-2? A variant of the MPEG video and audio compression algorithm and file format, optimized for broadcast quality video. MPEG-2 was designed to transmit images using progressive coding at 4 Mbps or higher for use in broadcast digital TV and DVD. An MPEG-2 player can handle MPEG-1 data as well. MPEG-2 has been approved as International Standard IS-13818. On Monday, Samsung introduced its first Google Android device, the Samsung I7500. While many were disappointed to hear that Samsung had initially delayed its Android devices till the second half of the year, the I7500 will be available in major European markets starting in June. Unfortunately, plans for a U.S. release are still unclear. Apple encodes iTunes movies and TV shows with DRM protection. If you transfer the movies you downloaded from iTunes store to Samsung Galaxy directly, you will find that the iTunes video file cannot read properly on it. 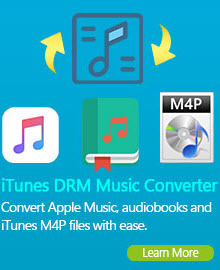 With NoteBurner M4V Converter Plus, you can remove DRM protection from iTunes movies and TV shows and convert them to unprotected video files for playback on Samsung Galaxy in simple three steps. With a concise interface, the NoteBurner M4V Converter Plus is quite easy for operation regardless of your level of experience. Download the demo version of NoteBurner M4V Converter Plus to have a try! Both Windows version and Mac version are available to download.